The Bible teaches that we were made to worship. We spend time together in corporate worship because it’s what we’re created to do. Our prayer is that by experiencing and participating in worship through music, prayer and scripture reading, the Church would grow in devotion, pursue a deeper connection with God, and be open to receive the teaching of His Word. Do you have a heart for worship and play or sing skillfully? Then you are invited to audition for the Calvary Chatt Worship Team! Auditions will be held on Saturday, February 23rd - but step one is to fill out an application. 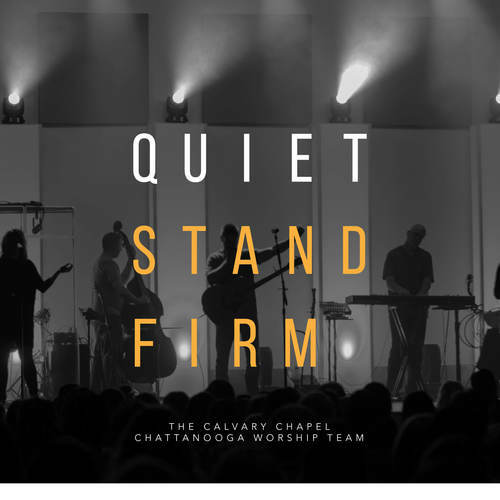 Our worship team headed to the studio to record this 2 song EP featuring "Quiet" and "Stand Firm". These two original songs have truly struck a chord with us at Calvary Chatt. From the sweet, soul-steadying moments in "Quiet", to the encouraging peace-filled chorus of "Stand Firm", we pray these songs bless you and bring glory to our Savior.